Jaded Blossom: Guest Designer, Georgiana! This is Georgiana from Carson's Creations and I am SUPER excited to be a Guest Designer for Jaded Blossom. I love these stamps...they always put a smile on my face. Thank you Michelle and Candace for allowing me to be a part of this special month. 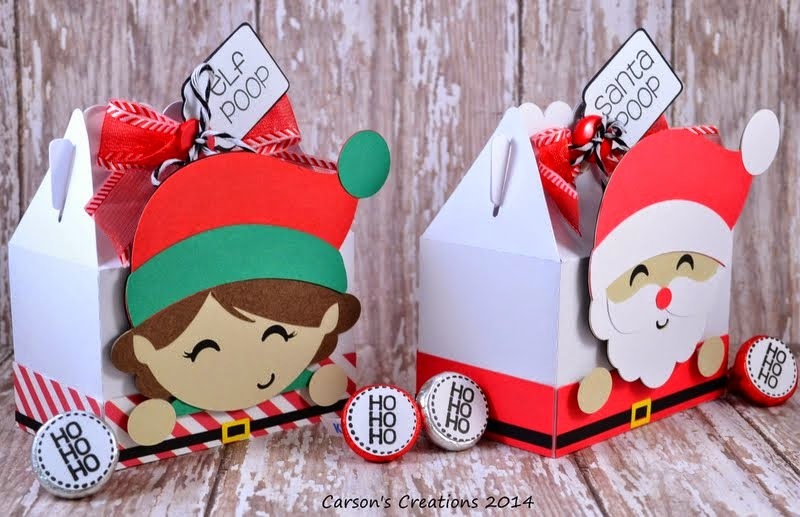 A Santa and an elf treat box using the Jaded Blossom Christmas Poop stamp set. Of course, I used Hershey Kisses for the treat! The boxes are from Silhouette on-line store. A close-up of the funny, but slightly odd-humor stamp. My students will surely enjoy them. Since they are 10 years old, they will think these are "cool". The bottoms of the Hershey Kisses are decorated with Christmas Candies stamp. Other materials can be found on my blog. Thanks again Candace and Michelle for allowing me to be a Guest Designer. I am looking forward to all the projects from the rest of the Guest Designers this month! 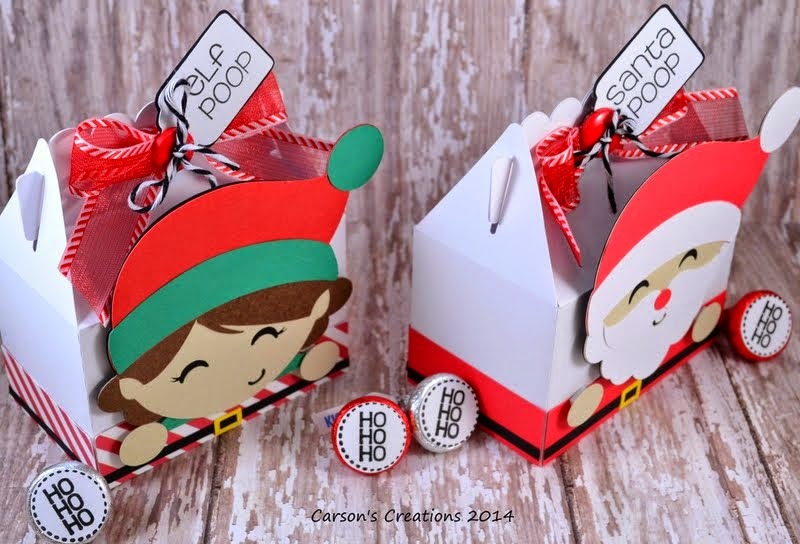 Love your poop treat boxes.. super cute and fun, the kids we love them!! Thanks for having me as a Guest Designer! Oh these couldn't be ANY CUTER!!!! Love them! These are SUPER DUPER CUTE!!! 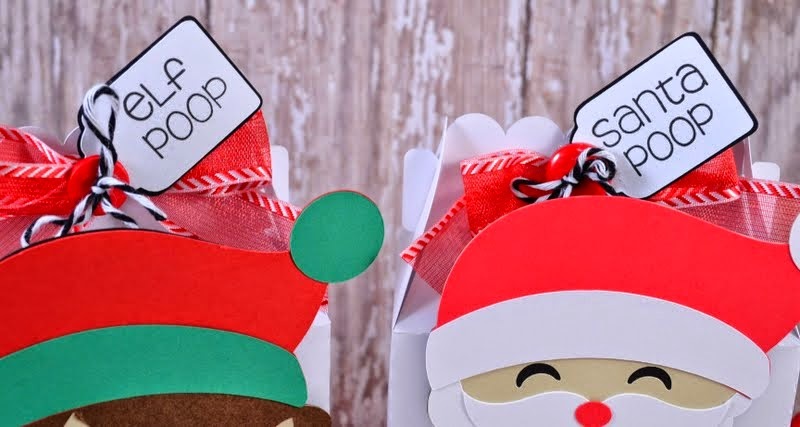 Love the tags and hohoho candies! These are adorable!! I bet your students will love them! Oh I bet these were a huge hit. They turned out wonderfully. these are soooo cute! I bet everyone loved them! I know I do! be to receive or give! OMgoodness! These are the cutest things ever! Georgiana, these are fantastic!!! 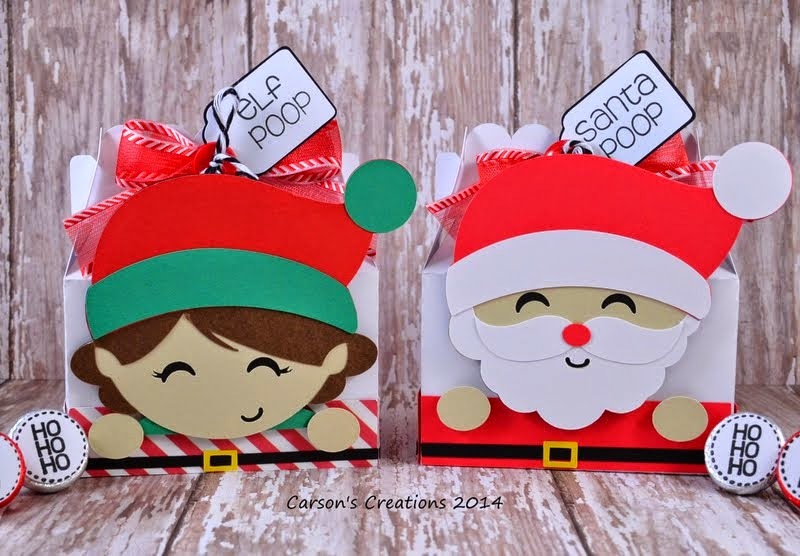 The boxes are adorable and I love your color combos! And the photographs are fantastic as well. These are awesome!!! Love these oh so much! Definitely gotta keep these in mind for next year!